Facebook has been at the center of the debate over privacy and data misuse. In a recent survey, respondents indicated that they were less likely to share on social media in light of the recent Facebook controversies. The statistic below shows the reasons that Facebook users in the United States are sharing less content with friends and followers on social media as of April 2018. 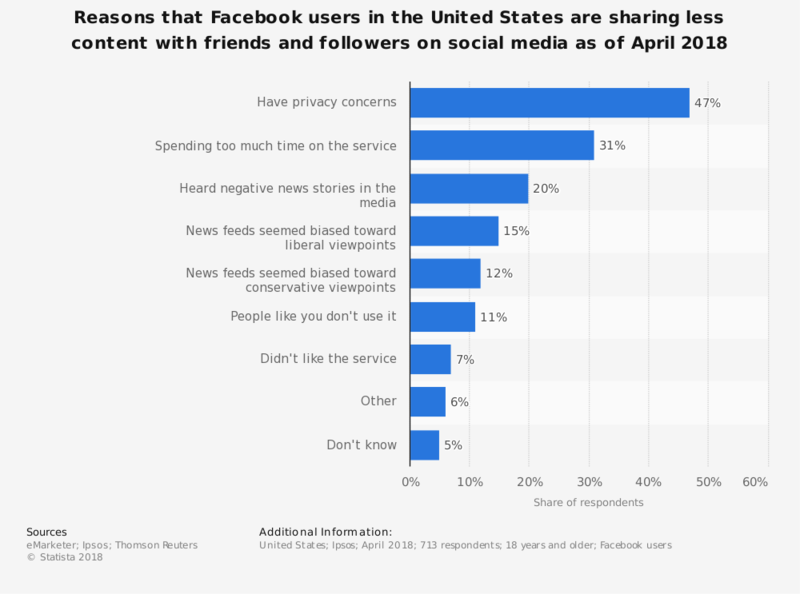 According to the findings, 47 percent of surveyed Facebook users reported that the main reason as to why they were sharing less content with friends and followers on the social media platform was due to their privacy concerns revolving around Facebook itself.